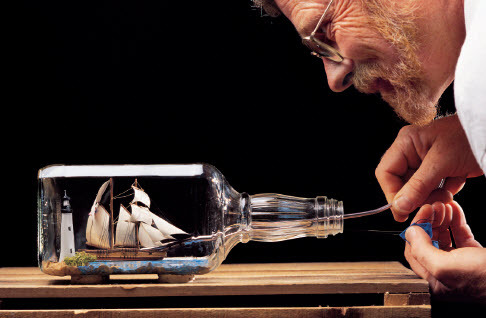 Jim "Goose" Goodwin, builder of ships, lighthouses, airplanes, and more in bottles, hails from Charlotte, North Carolina. 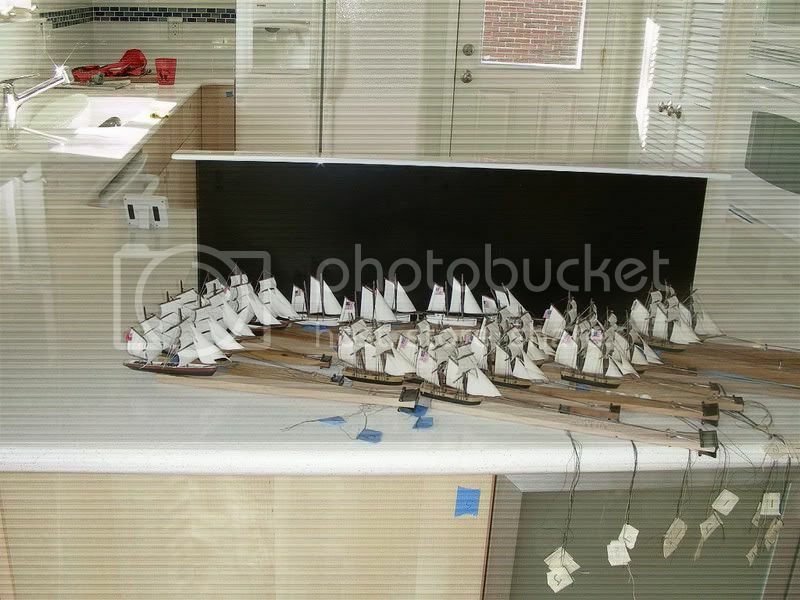 Goodwin is an accomplished builder and his ships are on display at galleries along the North Carolina coast. 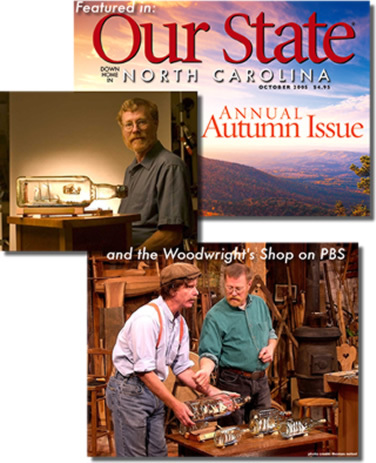 He has appeared as a guest artist on "The Woodwright Shop" a regular series on PBS television broadcasting. Numerous articles have been written about Jim and his work and he is featured at many shows and festivals each year, where he displays his work and conducts workshops on his craft. 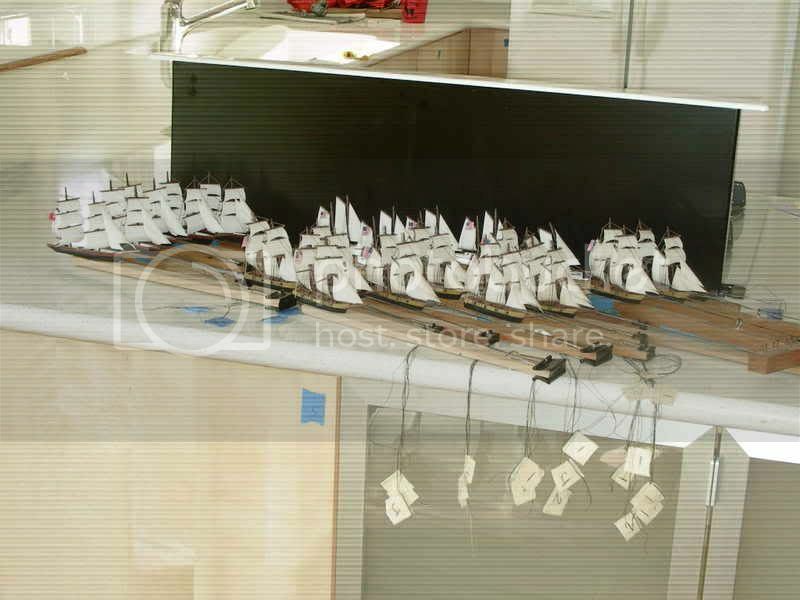 The San Diego, California, Maritime Museum held a six-month exhibition of ships in bottles and two of Jim's works recieved great attention and acclaim at the event. 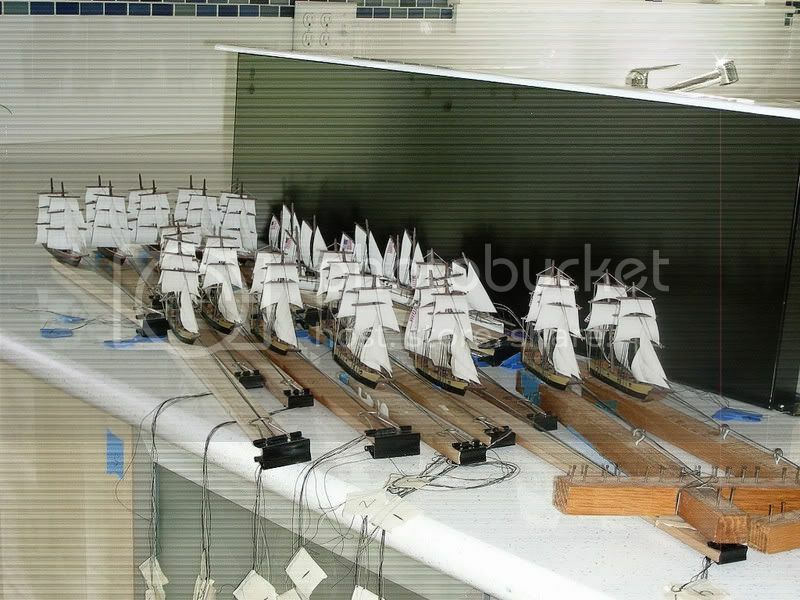 The first was a one-gallon bottle that included the Queen Anne's Revenge and two other ships from Blackbeard's fleet. The other was the Hattie Creef, a boat out of Elizabeth City famous for carrying the Wright borthers to Kitty Hawk. 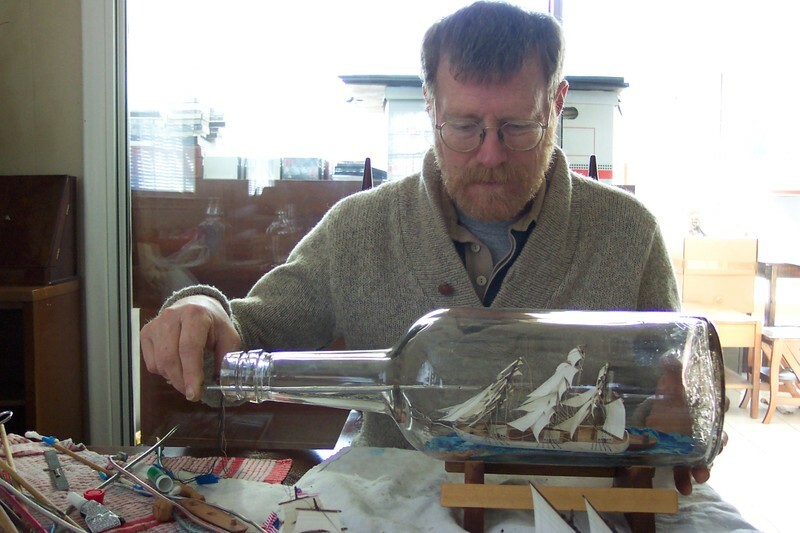 More recently, Jim was chosen as the artist for the ships and lighthouse built in a bottle used in the movie "The Lovely Bones." This movie is based on a 2002 novel by Alice Sebold. It is the story of a teenage girl who, after being brutally raped and murdered, watches from heaven as her family and friends go on with their lives, while she herself comes to terms with her own death. The novel received a great deal of critical praise and became an instant bestseller. A film adaption of the novel is currently in post-production and is being directed by Peter Jackson, who personally purchased the rights. It is set for release in late 2009.
www.lovelybones.com - Click here to see the trailer for this movie. "The Lovely Bones" - Click here to read an excerpt from the book. 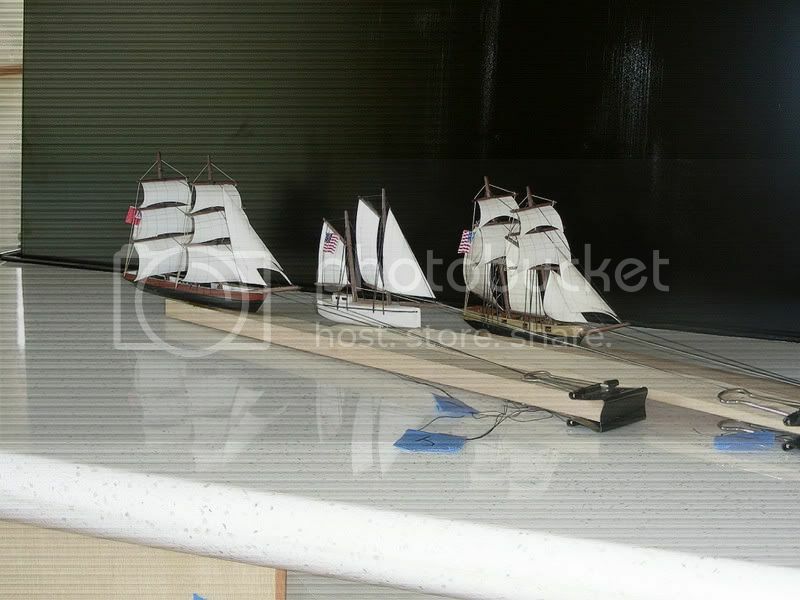 Carolina Sharpie Schooner--carried the Wright Bros. to Kitty Hawk. Jim has been accepted by the folk school on Ocracoke Island, NC to instruct on how to make ships in bottles. In this role, he will continue to preserve this art by guiding budding new artists, while encouraging current artists in pursuit of their craft. 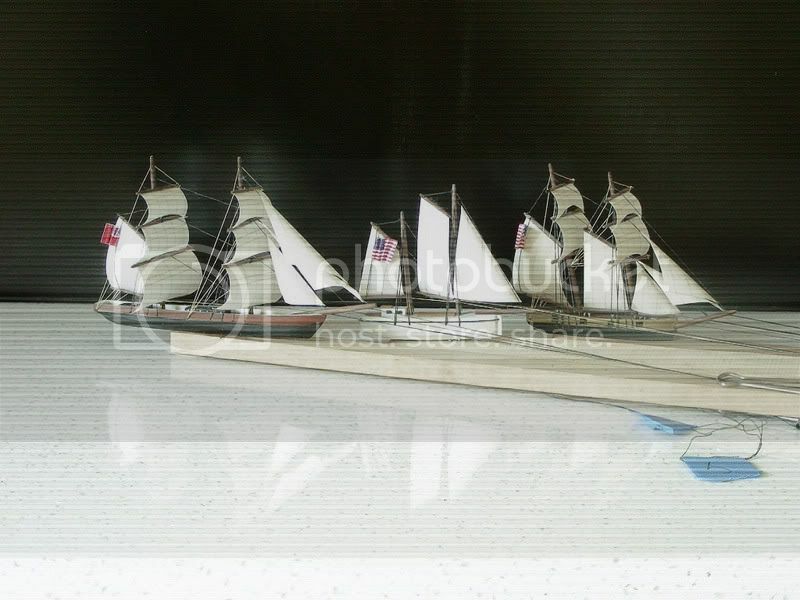 Be sure to visit Jim's webpage at www.carolinasib.com where you can see more of his models an can purchase one of his wonderful models.